A property maintenance technician is sometimes only as good as the tools to do the job. Cheap, unreliable tools can be the downfall of any repair or new construction project. Quality tools make a difference, says Scott Matthews, Home Depot’s director of strategic accounts, especially in today’s fast-paced multifamily housing industry. Tool storage today has evolved from your grandfather’s Craftsman® toolbox. Portable and stationary tool boxes are stronger and better equipped to store and make easily accessible new tech tools and processes. Moveable tool storage chests today are taller and deeper to accommodate an array of tools like cordless drills and saws. New grades of tool boxes from Husky® and Milwaukee® Tools includes cord access or built-in power bars to charge battery-powered tools. Other features include pullout work surface drawers large enough to store laptops, which can be used to log in or log out tools and access maintenance records. Cabinets are sturdy and can support nearly a ton of tools. Portable tool boxes have the look and feel of luggage for easy maneuverability and include plenty of storage for maintenance techs to handle small service requests. Heavy-duty telescoping handles and steel reinforced wheels are designed for easy mobility. Fold-over rain flaps with waterproof zippers keep water out of the main compartment on rainy days. Newer lithium technology and better warranties have improved the battery-powered equipment experience. Tools work longer and are backed by warrantees that provide technicians a better resource for working in areas where electricity isn’t available. Matthews says it makes sense to build an inventory of power tools that use the same battery so technicians aren’t having to manage different types of charging systems. He also recommends working with brands that offer battery replacement or warranties. Property maintenance teams should invest in the types of power tools they will use most often and buy reliable equipment, Matthews says. For large jobs, he recommends going with the lines of traditional drills, sanders, saws, nail guns and other tools by suppliers like Milwaukee or Ridgid. New on the scene is blue-tooth enabled technology by Milwaukee Tool, which offers inventory management and tool reporting functionality through the web and mobile applications with its ONE-KEY digital platform for tools. Rolled out last year, the technology also syncs power tools with smartphones and enables pre-set applications for tool functions. Milwaukee Tools debuted its new M18 FUEL Drilling and Driving products that sync with the wireless application in January. 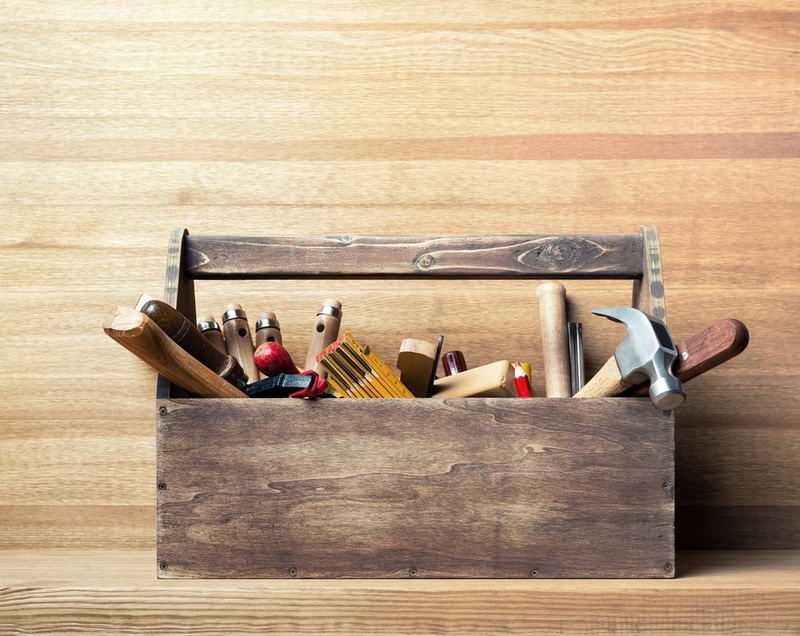 While new power technology is tantalizing, property maintenance technicians should have a solid collection of hand tools that are easy to carry in small tool boxes. New durable LED flashlights are virtually unbreakable and will withstand the most punishing tests, Matthews says. Husky’s new 3D 650 Lumen flashlight was drop-tested at 30 feet and is water proof up to one meter. Also, Klein Tools® has improved its Non-Contact Voltage Tester, which uses non-contact voltage detection technology applicable for cables, cords, circuit breakers, lighting fixtures, switches, outlets and wires. New multi-directional rotation in ratchet designs are making it easier to access hard-to-reach areas, Matthews says. The Husky Gimbal Ratchet has a 100-tooth internal ratcheting mechanism that engages fasters with as little as 3.6? rotation. Click here to learn more about Propertyware's mobile maintenance solutions or to view a free demo today!